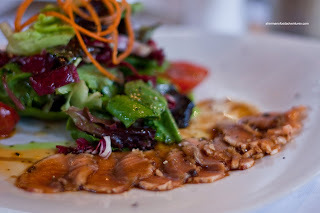 We shared 2 appies starting with the Salmon Carpaccio. Dressed in a soya vinaigrette, we could not get much of the natural salmon flavour. Rather, the soy completely overwhelmed the delicate fish. The individual components were fine, it just didn't work together. Our second appy was the Steamed Mussels with a white wine and garlic broth. These were some pretty plump mussels in a well-balanced broth. It had the perfect amount of wine so that it didn't overwhelm everything else. It was quite garlicky though; but no one seemed to mind that. The fresh tomatoes and basil added some brightness to the dish. 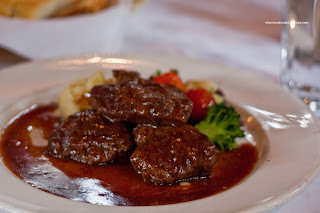 For his main dish, Rich Guy had the Braised Veal Cheeks in a rich demi-glace. 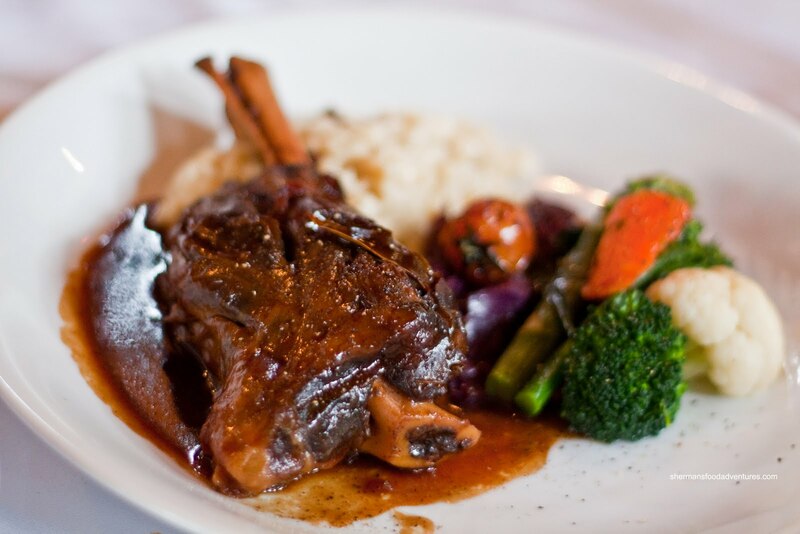 There was a pronounced red wine flavour to the sauce; yet it wasn't dominating. The cheeks themselves were so tender, they felt apart on contact. As with any cheeks, it had the desired gelatinous texture. The accompanying veggies were vibrant and still crisp. Pomegranate and I were eying the Braised Lamb Shank; but due to my "no duplicates" policy, I let him do the honours. He was a victim of a foodgasm after his first bite into the soft, moist, gelatinous flesh of the lamb shank. Of course I took a sample and indeed it was foodgasmic. The rich red wine reduction was very strong while not being too strong at the same time. The braising liquid successfully penetrated (is that an intentional Freudian slip???) the meat which helped flavour the shank evenly. 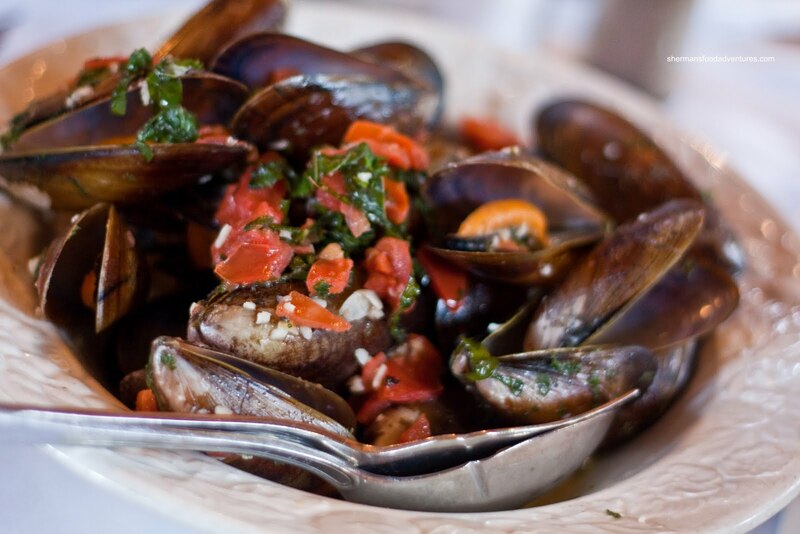 Of course no visit to Il Giardino would be complete without pasta. 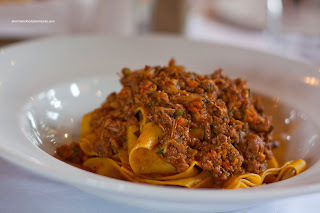 Thankfully, Whipping Girl fulfilled that quota by ordering the Rabbit Ragu Parppadelle. With a generous amount of meat atop perfectly al dente pasta, there was not much to complain about this dish. The Ragu was nicely balanced and rich while not heavy. I particularly liked that it was the right consistency. It flavoured the pasta without being watery. 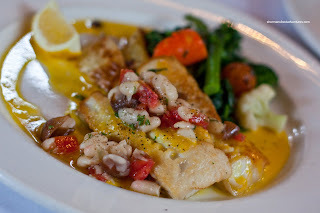 However, for some reason or another, I felt the parppadelle I had at Cioppino's had more "wow" factor. Yet, that is splitting hairs since both are superior pastas. For myself, I went for the Baked Black Cod in a beautiful lobster lemon butter reduction. As much as it is very hard to mess up black cod (aka Sablefish), it can be done. So, I can honestly say that this fish was perfectly prepared. Each flaky piece was moist and buttery. The fatty flesh was further enhanced by the aromatic lobster lemon butter. A sauce so simple had layers of flavours starting with the butter, then the zing of lemon and finishing off with a aromatic lobster flavour that cannot be mistakened. Once again, the veggies were perfect and I liked the somewhat firm white beans on top. Although the black cod was a great dish, it was not the best dish at the table. 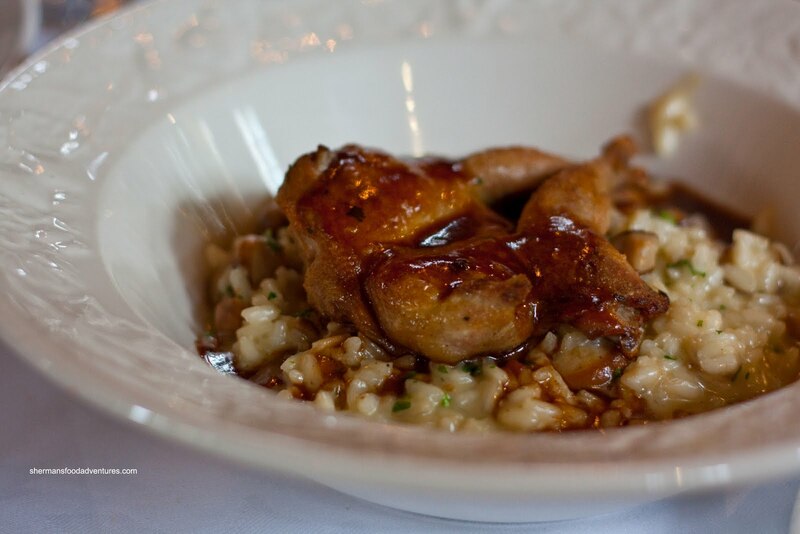 That belonged to Vandelay and his selection of the Porcini Risotto with Roast Quail. One bite into the perfectly cooked risotto was a OMFG reaction on my part. The intense earthiness from the mushrooms exploded in my mouth and danced on my tongue. The flavour lingered and only relinquished its grasp when it felt like it. By then, I was munching on a piece of roast quail and that in itself added a certain umaminess to it. On that note, the one thing we could ascertain from this meal was that Umberto has still got it. Sure, he wasn't cooking in the kitchen. Rather, he was roaming the dining room floor. I love it when a restaurateur is actually present at his/her establishment. And that establishment is classy. Traditional classy, not the Yaletown glitzy type though. Suited us fine because the food was fantastic and the service equally so. i love Il Giardino and yeah I don't mind that it is not considered hip enough for the youngsters to hang out there. Thanks for this review....it's been several years since my last visit. 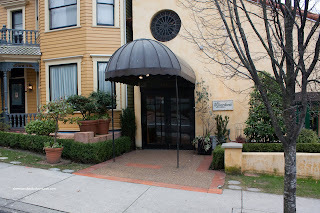 Il Giardino is one of my most memorable experiences.....amazing date night and great food!